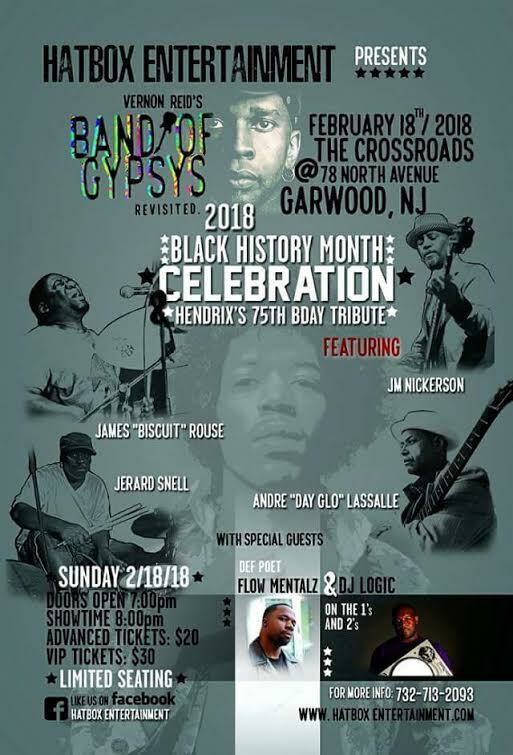 Honored to join Vernon Reid's Band of Gypsys Revisited - Celebrating Jimi Hendrix's 75th Birthday - Sunday, February 18 at The Crossroads in Garwood, NJ. Vernon and I will be joined by JM Nickerson, James "Biscuit" Rouse, Jerard Snell, Andre "Day Glo" Lassalle and Flow Metalz. Advance tickets are just $20 and available at Ticketfly.com.